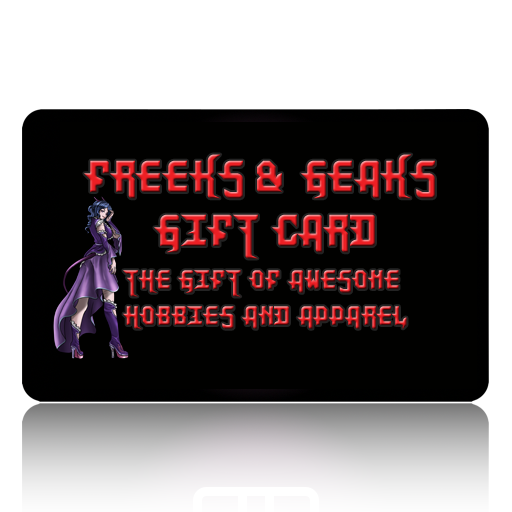 Give the gift of awesome hobbies & apparel with the Freeks & Geaks Gift Card. Simply select your desired amount, enter your recipient(s), and enjoy the satisfaction of giving something awesome. Starting in 2019 we will support square gift card integration to offer more flexibility to our convention and event customers. In 2019 we will also begin selling physical gift cards which can be shipped, or picked up at conventions & events we’re attending.